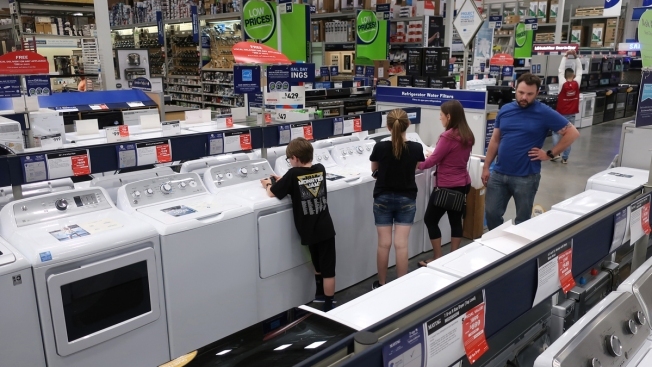 Appliances are on sale at deep discounts at stores like Home Depot, Sears and Lowe's (pictured above). Labor Day weekend often sees major sales on big-ticket items like home appliances and automobiles, and NBC Better talked to some experts to help figure out the deals that are really worth it. "If you're in the market for new kitchen gadgets and appliances, you'll find sales on refrigerators, stoves, dishwashers, washers and dryers," said Chelsea Hudson, a personal finance expert at TopCashback. She also pointed out that iPhones often start to be discounted in September, which is when new versions are typically announced. Struggling brick-and-mortar stores are likely to emphasize deals on items you can touch and feel, like clothing, said Carnegie Mellon business school marketing professor Jeffrey Galak.